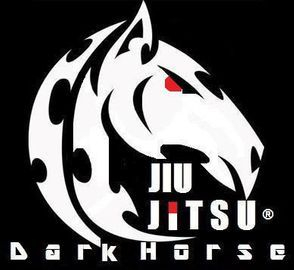 Brazilian Jiu-Jitsu testing is unlike any other Martial Arts System on the planet in that the practitioner must not only demonstrate specified Jiu-Jitsu technique but the ability to apply those techniques within live scenarios, utilizing smooth technical flow between transitions and positions. 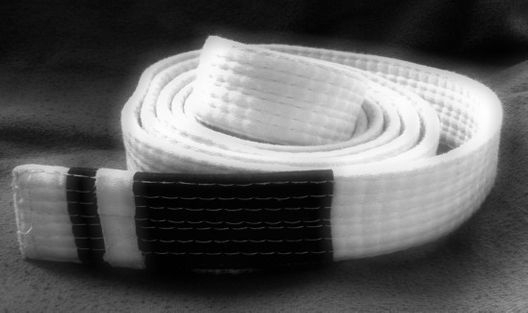 Testing consideration comes between the third and fourth stripe fazes of training within the colored belt syllabus. 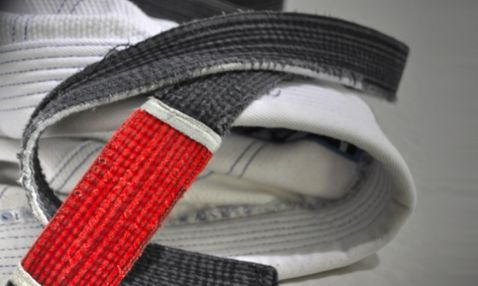 Any student who demonstrates warrior ethos, fighting spirit, long suffering, proper technique, good martial attitude and the above noted with consistency, humility and poise should expect to receive a stripe once every 3-5 months. This is determined by the Academy Professor and should always be considered with integrity and truth. It is important to understand that many BJJ practitioners are not strict competitors- Many of whom only train in Brazilian Jiu-Jitsu for combat applications, street readiness, Martial discipline and or self defense; Therefore, evaluation for non-competition team students will be based on the Fight Sports Brazilian Jiu-Jitsu Curriculum and the above noted only. Competition team students, MMA fighters and potential coaches and BJJ Professors (on the other hand) will be rigorously evaluated to the strictest and highest standard of the Fight Sports Jiu-Jitsu belt syllabus ensuring victory in the cage or in competition is at the highest priority! After consideration for belt testing, applicable students will be evaluated directly by Master Todd Cutler in Fight Sports Daytona. It is important to note that consideration alone does not guarantee promotion. If any student is unable to execute proper technique with respect to his/her level, then that student will not be promoted to the next rank and will be given a probationary period to prepare themselves for a second exam! Remember that Jiu-Jitsu is a journey not a destination! Keep training, work hard and persevere! OSU! Every class brings a new solution for a rolling problem that the new student is experiencing. The complexity of bjj is both exciting and overwhelming! 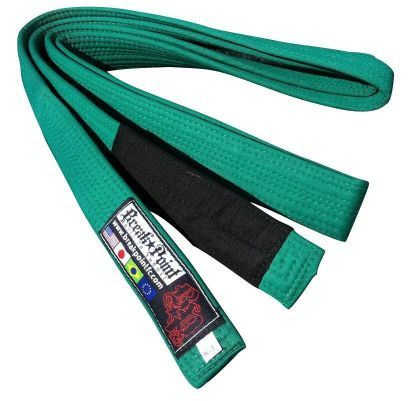 Green belts in Brazilian Jiu-Jitsu have a basic ground fighting understanding and are usually about 6 months to a year from there blue belt exam. They are just beginning to explore and apply basic attacks, techniques and positions in live scenarios and are better able to evade attacks that would have easily submitted them in the past! Blue belts should have an understanding of the basic techniques and positions and are now exploring advanced variations (ex. different guard styles). I see many blue belts falling in love with different guard games and spending a lot of training time learning what type of guard is going to be part of their game. In order to start developing your personal game, you are going to have to run experiments to find what fits your style. 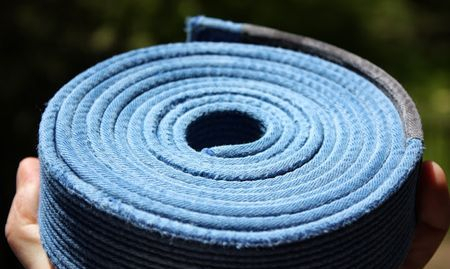 Blue belts are also starting to specialize in a preferred submission and may be a belt level or two higher in certain positions! By purple belt the student knows what their game is and now is developing setups and combination attacks. They have set aside techniques that do not suit their personal game and focus on getting razor sharp in their strong areas. Purple belt is a good time to honestly assess one?s weaknesses and fill in those holes. The brown belt knows his game and seeks to tighten every one of their techniques, even the basics! They develop multiple routes to their favorite techniques and employ more advanced strategies like baiting the opponent into exactly what they want. Brown belts should also be looking to bring up lagging areas of their game to a competent level. Few black belts will describe themselves as masters and instead become aware of how truly deep the art of Brazilian jiu-jitsu is! I think it is false modesty for a black belt to say ?Now is when the learning truly starts? as anyone who has been absolutely smashed by a black belt can directly attest how much the black belt has already mastered! A black belt has deep understanding of the basic techniques, many advanced variations and most importantly: uses the principles of jiu-jitsu to execute those same techniques with the most efficient timing, leverage and precision. The black belts I speak with say that they are experimenting with positions that they knew but did not have deep understanding of, starting to perform techniques on BOTH left and right sides.